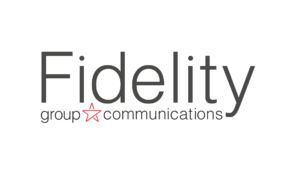 In partnership with Fidelity Group, Virtual1 have expanded their UK network out to cover Leicestershire. Specialising in the delivery of high performing fibre services, Virtual1’s network is dedicated entirely to business use. What makes this smart connectivity? Get instant connectivity with our Pre-Ethernet solution, with optional static IP. It’s well known that there are many factors in the delivery of fibre services in the last mile, and our Pre ethernet solution delivers connectivity from day one via the mobile networks. Later, when your Ethernet has been installed, your pre-Ethernet solution can be migrated to deliver a highly adaptable disaster recovery option. same exchange, meaning faults that bring down the mainline take the backup down too. We know how essential connectivity is, so our On-demand Backup solution ensures businesses stay connected during mainline downtime. To top it off, we can aggregate data across all your SIMs on multiple sites, meaning no complex billing or wasted data. increase and decrease the bandwidth on your Ethernet services, with changes taking effect in real time. featured twice on the Sunday Times TechTrack 100. Our board of directors, supported by a highly skilled management team, has unparalleled pedigree, background and experience in the telecoms industry. We have well established relationships with all major communications vendors, enabling the packaging of multiple services into one comprehensive offering. We work with businesses to build new and lasting revenue streams, provide tools to create opportunities, increase employee productivity and profitability, and ultimately grow your business. Virtual1 is the UK’s leading Digital Service Provider. We operate the largest and most advanced business only fibre network in the UK, connecting over 180 towns and cities across the country. Built upon state-of-the-art infrastructure, we deliver a high capacity, low latency network which is privately connected to the market-leading UC, SIP and Cloud solutions that are both secure and high performing. Our Network is fully software defined, which means that our Partners, such as IT Labs have control of their networks solutions directly, and can administer change 24/7. We have some of the best people in the industry, who have a passion for what they do, and we stand shoulder to shoulder with our Partners to deliver the innovative solutions that make UK business work.